Both physical and organic chemistry are vital in space research. 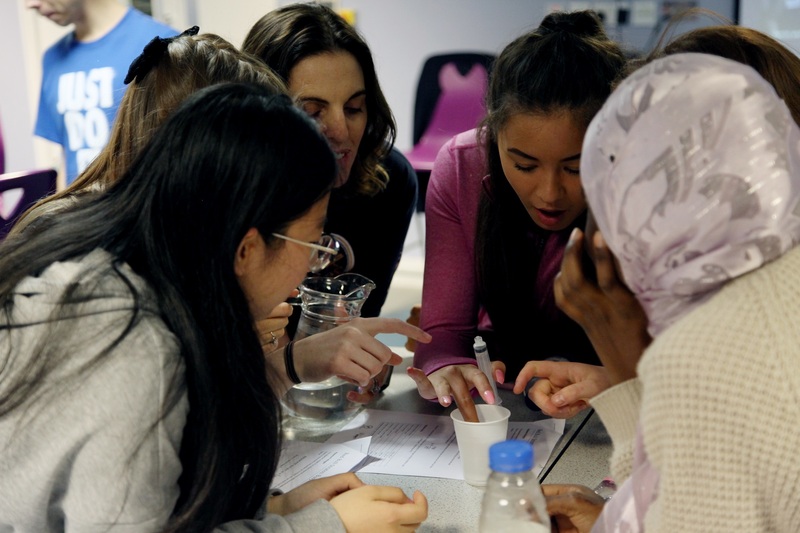 As well as using examples of space chemistry to explore theory, each masterclass features hands on experiments. When you book a masterclass, we will work with you to focus on your specific needs. From working with C/D borderline students in exam years, to challenging gifted and talented students and taking groups of students through revision sessions. There might be a specific topic you would like us to focus on, or an area of the curriculum which your group are struggling with. If aliens arrived on our planet what would they make of our chemistry? We have teamed up with PPG, a global paint supplier, to offer Chemistry masterclasses for 10 - 14 year olds. This masterclass has been designed to use space contexts to tackle the curriculum in areas that are key to PPG's work: colour and materials. We link the science and engineering of PPG with space science and technology to engage young people with the science curriculum!